Perhaps I'm stuck in the 90's but despite the vast improvements in cinematography especially in Chinese martial arts films, nothing beats the classics. Below is a tribute to everything that I miss from the good old days. I don't want to run the risk of sounding like a broken recorder so I will try to limit the praises and say this once, most if not all of the movies here are my all-time favorites, truly HK cinema at its finest giving rise to much-loved actors and actresses that have garnered fans not only in Asia but worldwide. Nothing says wuxia aka martial arts hero more than a movie titled A Man Called Hero. Tragedy befalls an honest young man named Hero and he has to leave his lover Jade and escape to New York where he faces even more daunting trials as a Chinese immigrant. 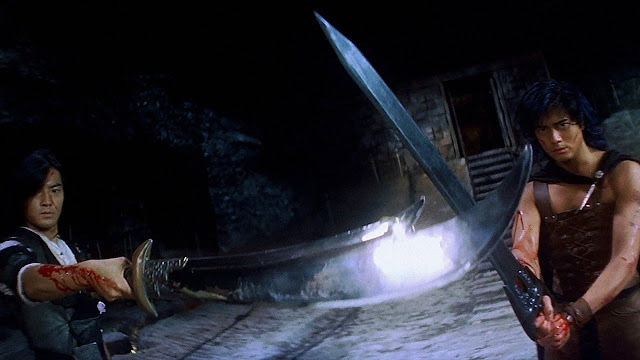 The movie progresses over a span of sixteen years where Hero's final showdown is against a group of Japanese swordsmen who will stop at nothing to be hailed the best. Storm Riders released a sequel in 2009 starring the same lead actors Aaron Kwok and Ekin Cheng just 10 years older. While I have seen the sequel, it never left much of an impression. Hence, I will be focusing solely on the cult classic that is the original Storm Riders released in 1998. Storm Riders in its most literal sense is about two people named Wind and Cloud, who are destined to bring great power to the Conquerer for the first half of his life. The Conquerer goes through great lengths to acquire Wind and Cloud as his disciples, yet the second half of the prophecy remains a mystery. The storyline is captivating, the cast stellar and the movie feels and looks like a legit live-action version of the manhua (comic) where the characters that we can only dream about are brought to life on the big screen. I'm even more impressed that the production team did such a good job considering it was only 1998 yet it was so aesthetically beautiful that it stands up to comparison with films nowadays. 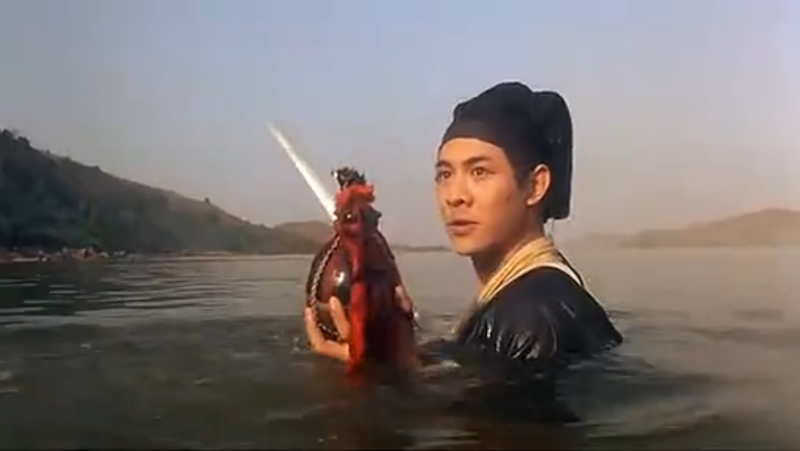 I digress but thought it was worth mentioning that Michael Tse, a veteran actor who was in every HK film imaginable as a supporting character until he finally got his big break as Laughing Gor was as a matter of fact also in Storm Riders. If you have read my top 20 best wuxia, you probably surmised that I'm a bit of a Jin Yong fanatic. As most Jin Yong novels go, our protagonist embarks on an adventure, learns incredible martial arts skills along the way and meets numerous potential love interests as he journeys to become a hero. Downsizing a Jin Yong novel into a movie is no easy task, so the artistic direction taken on these movie adaptations usually warrants a fresh twist to the stories that we've grown so familiar with and for the most part, it works, creating the masterpieces that we appreciate till this day. But a question I ask is, "When is the sequel to Kung Fu Cult Master coming out?" It ended so abruptly with a clear indication that a part 2 was impending yet it's been over 20 years and counting and I am still waiting. 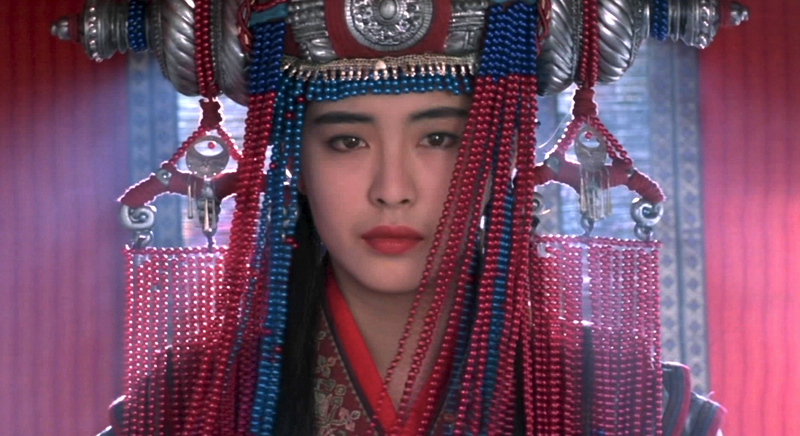 Hands down one of the most epic romance wuxia ever made, The Bride with White Hair from 1993 is a timeless tale about a fiery wolf girl in all her raw uninhibited passion as she falls for Zhuo Yi Hang, a mischievous yet good-hearted young man set to be the successor of the Wu Dang Clan. In the wuxia world, Wu Dang is a noble sect meaning they're automatically the good guys yet these so-called good guys are often pretentious and self-righteous to the extent of having a convoluted perception that anyone who doesn't fall into the same category is must be evil. In that sense, we see the makings to a tragic love story from the wolf girl and Zhou Yi Hang's very first encounter. Below is the opening scene where a forlorn Zhuo Yi Hang sits a top a cliff on a snowy winter night. He patiently waits for a magical flower to bloom because it has the power to restore youth for the woman that he had wronged. This is just the opening scene and while it may be heavy on the theatrics, I'm in. Wang Fei Hung is an upstanding hero during the Qing Dynasty as he strives to do right by the people. 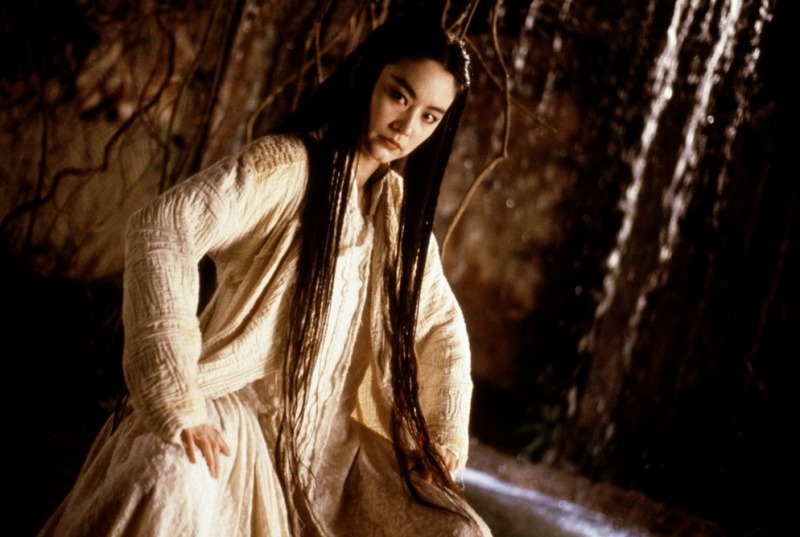 Jet Li and Rosamund Kwan play the titular roles Wang Fei Hung and 13th Aunt that have spawned many sequels due to its popularity. I gotta admit I haven't actually seen all of it and my personal favorite is actually the Last Hero in China, which is tantamount to a spin-off of the franchise. 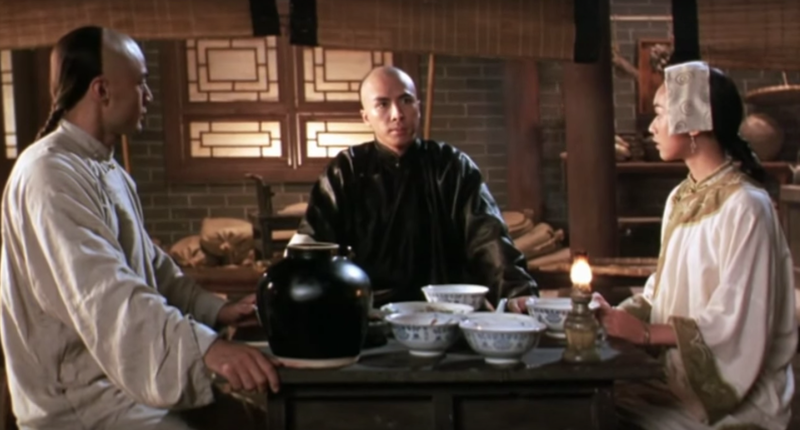 Below is a scene from The Legend of the Red Dragon, which I mistakenly thought was also part of the Once Upon A Time franchise since it seemed like Jet Li once again reprised his role as Wang Fei Hung except that now he has a son. It was an amateur mistake on my part considering the protagonist in Legend of the Red Dragon is Hung Xi Guan, yet another renowned Chinese folk hero. In hindsight, I'm stating the obvious here but it never occurred to me that Jet Li has been typecast into very similar roles, always the courageous hero fighting for what is just. No complaints here, that is why he is none other than Jet Li. Iron Monkey deserves a special mention since it is also about Wang Fei Hung, but in this movie, Fei Hung is but a young adult and instead, the plot revolves around Fei Hung's father and the vigilante Iron Monkey. A group of assassins but in the wuxia genre, need I say more? The quintessential Romeo and Juliet with the addition of supernatural elements. While Joey Wong has been in a multitude of films, I will always remember her for her iconic role as Xiao Qian. Reached my limit for the day but the list shall go on. Please let me know what movies you also miss from this genre. This might be an odd one out but if you like the HK movies above, you might like Volcano High. a highly-stylized Korean martial arts film but in a modern day school setting.